150 Somali islamists were killed in airstrikes. Home » Headlines » World » 150 Somali islamists were killed in airstrikes. Somalia – A senior officer gave details on the results of a series of airstrikes carried out in Mogadishu. The target was a training camp run by Al-Shabab. The Pentagon is assessing the situation, but they report 150 terrorists killed. There are no signs of civilians killed in the attacks. Al-Shabab, or the Youth in English, is the main suspect of many terrorist attacks. Last month, an airplane from an Emirate airliner was attacked by a suicide bomber. Nobody but the terrorist was killed and the plane was forced to land in Mogadishu. They also claimed to have killed more than 100 Kenyan troops operating in the region, but there is not enough evidence to back up the story. In 2013, the group held hostage the Westgate Mall in Nairobi where 67 people were killed. Last year, “The Youth” attacked the dormitories of the Garissa University College in northeastern Kenya killing 148 people. For these and many other reasons, the Pentagon labeled the organization as an imminent threat to the United States and its allies in the region. Under the tenure of President Barack Obama, the raids against Al-Shabab have been assisted by drone airstrikes. In September 2014, Ahmed Abdi Godane was killed in a drone attack. He was one of the founders of the terrorist organization. The United States forces have been targeting Al-Shabab since 2008, but the organization has not faltered in purpose or number. It is important to note that the airstrikes on the training camp in Raso have been the most successful attack in more than a decade against the organization. 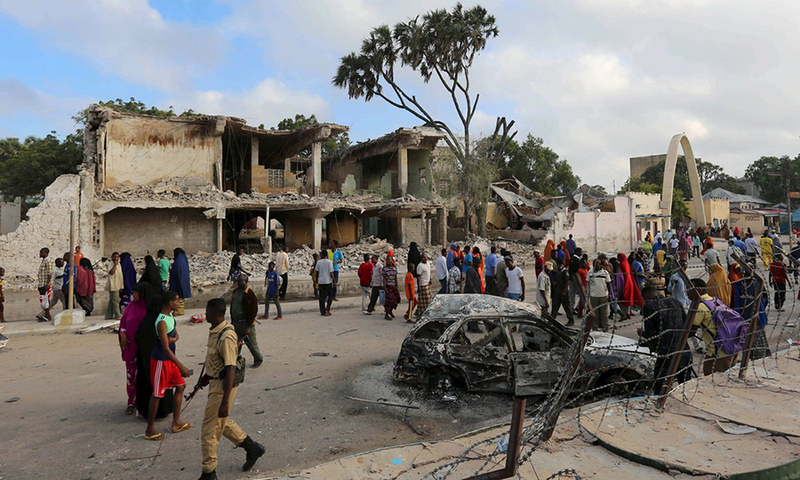 The U.S. and AMISOM forces (African union’s troops) are not the only concern of Al-Shabab. Recent conflicts with the Islamic state may seriously compromise their ability to operate.